For a casually elegant look, pair an Eton slim fit dress shirt blue 165 from Nordstrom with black chinos — these two items go beautifully together. For a look that's super straightforward but can be smartened up or dressed down in a multitude of different ways, try teaming a light blue dress shirt with teal chinos. Here's how to play down this ensemble: navy leather boat shoes. Teaming an Eton Slim Fit Dress Shirt Blue 165 from Nordstrom and dark brown wool dress pants is a guaranteed way to inject your current outfit choices with some manly elegance. 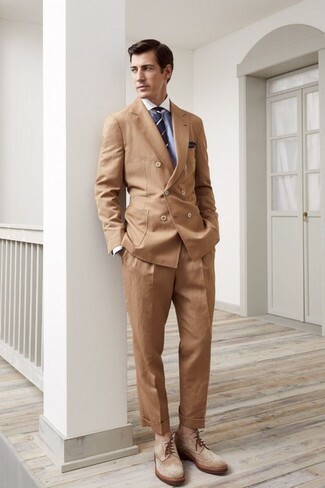 To give this getup a more casual twist, add a pair of dark brown suede double monks. 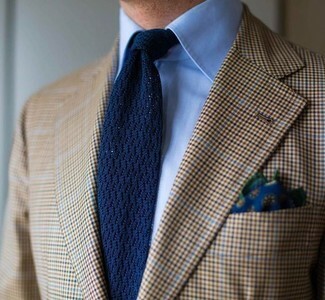 This pairing of a light blue dress shirt and a tan plaid blazer comes in handy when you need to look seriously dapper. 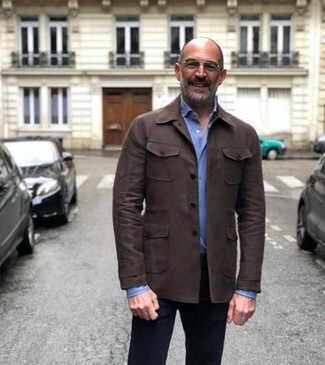 Loving the way this combination of a light blue dress shirt and khaki dress pants immediately makes men look elegant and sharp. 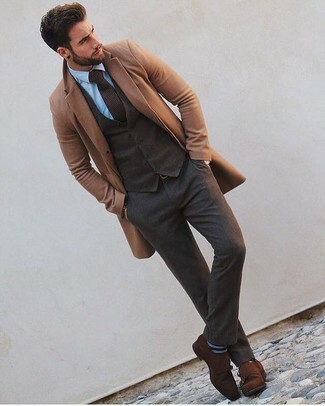 Add tan suede brogue boots to the mix to keep the ensemble fresh. Try pairing an Eton Slim Fit Dress Shirt Blue 165 from Nordstrom with a burgundy three piece suit to look smooth and dapper. A pair of dark brown leather oxford shoes is a good option to complete your look. 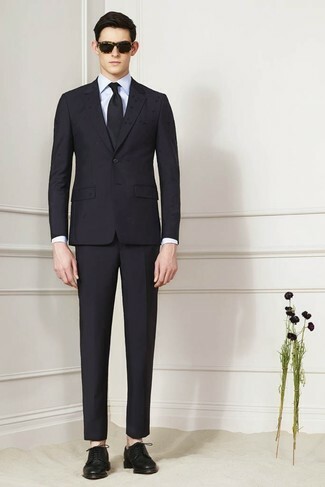 An Eton Slim Fit Dress Shirt Blue 165 from Nordstrom and a black suit are among the crucial pieces of any guy's wardrobe. Transform your outfit with black leather derby shoes. 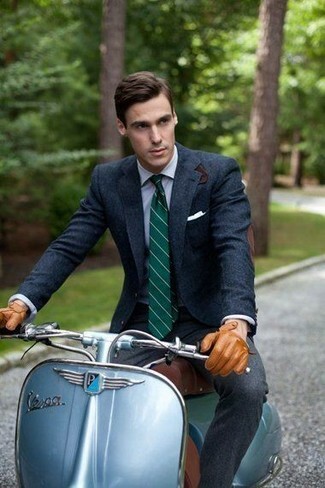 This combination of a light blue dress shirt and navy jeans is an interesting balance between formal and relaxed. You'll be amazed at how extremely easy it is to get dressed this way. 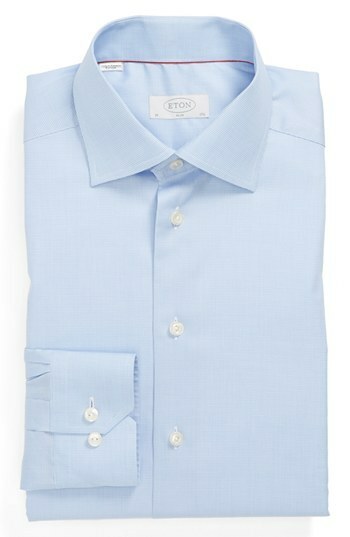 Just an Eton Slim Fit Dress Shirt Blue 165 combined with charcoal wool dress pants.